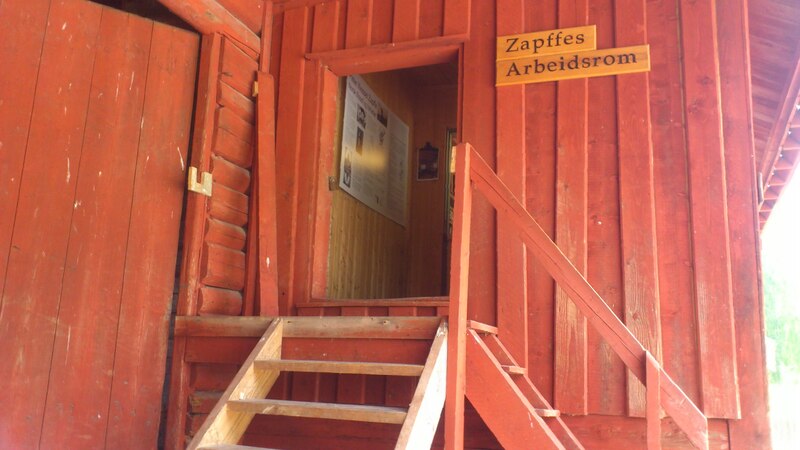 This page is dedicated to Asker Museum and other places that hold Zapffe memorabilia. 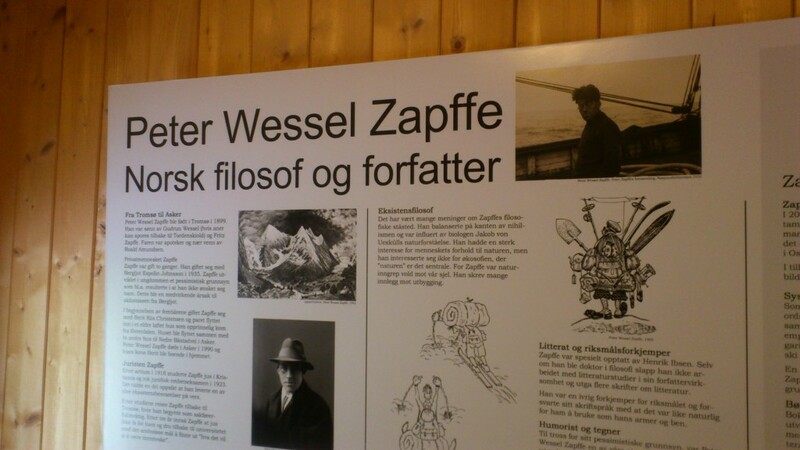 Asker is a county outside Oslo, and Asker Museum has a dedicated section to Peter Wessel Zapffe. 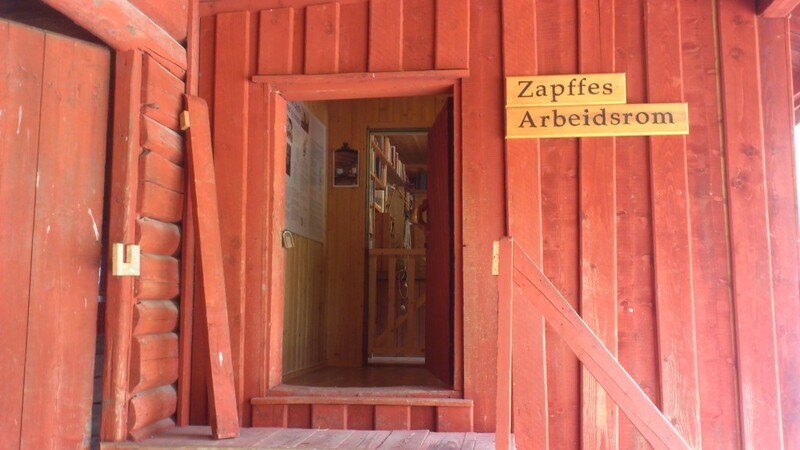 In his last few years alive Zapffe lived and worked in Asker, and he wanted his house to be a seminar and working room for people to come visit, after he was dead. Sort of like a library. Sadly, his initial wish was not granted, as libraries and other institutions came collecting most things of value. Quite sad. 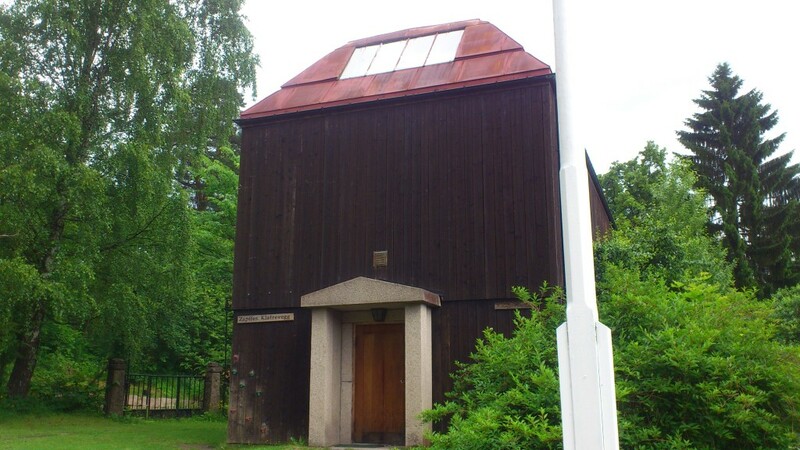 Some years later someone tried to make up for it by reconstructing his office and home at Asker Museum, not too far away where he used to live. 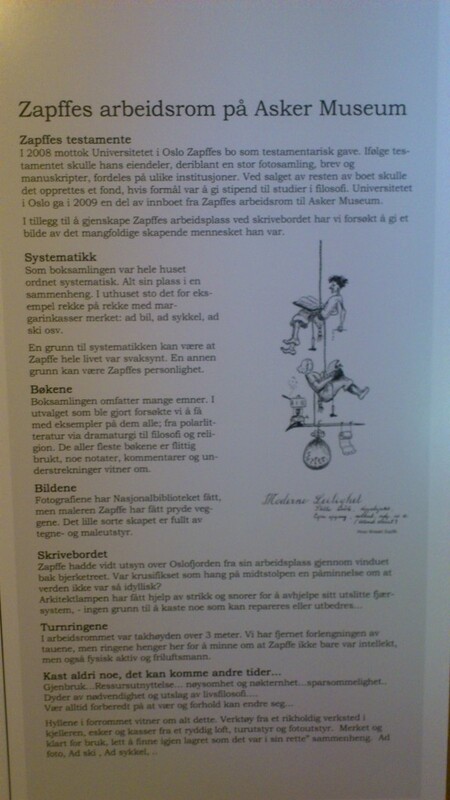 Its a very cool exhibition, and a recommended travel for anybody interested in all things Zapffe. Here’s an online collection from our trip. 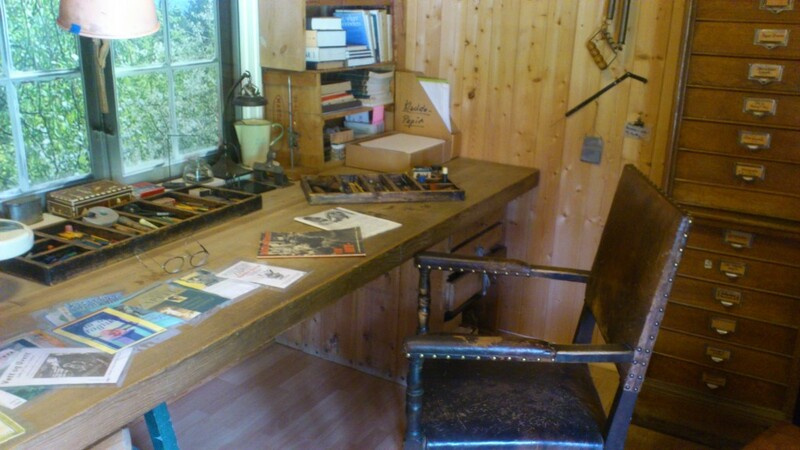 All pictures from Asker Museum was taken 30.06.2013 by Magnus Østvand. A little something outside wall. “Zapffe Klatrevegg” means “Zapffe climbing wall“. The inner corridor has Zappfe’s bike on display. 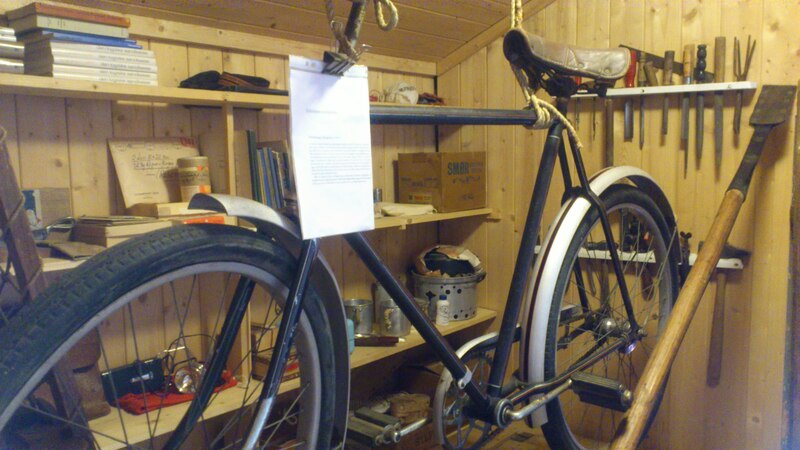 He was known to be seen cycling around in Asker in his latter days. He did not own a car. Around there’s tools and boxes full of stuff he collected. Someone commented he was almost hypocritical for a person proclaiming the death of humanity, as he seemed to ration for several lifetimes himself. 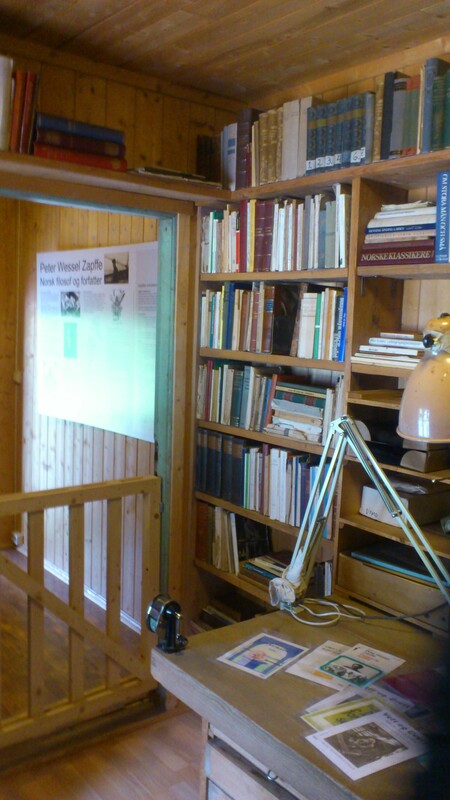 Texts on the wall tells us about Zapffe and the exhibition. 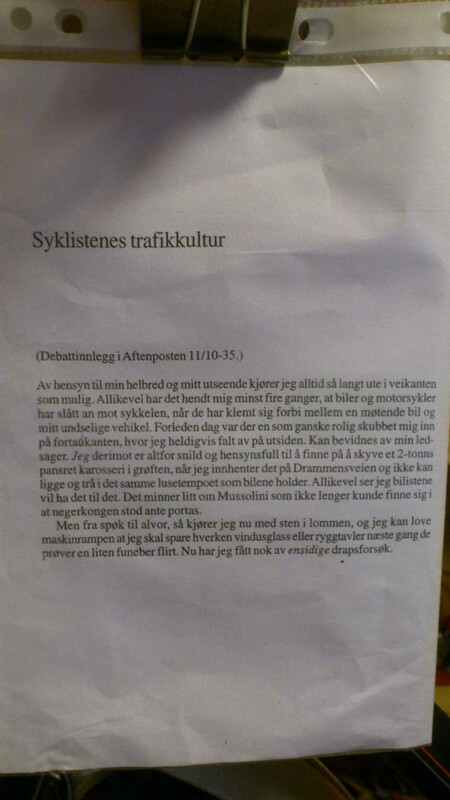 On Zapffe’s bicycle hangs an open letter he once sent to Aftenposten, a big norwegian national newspaper. 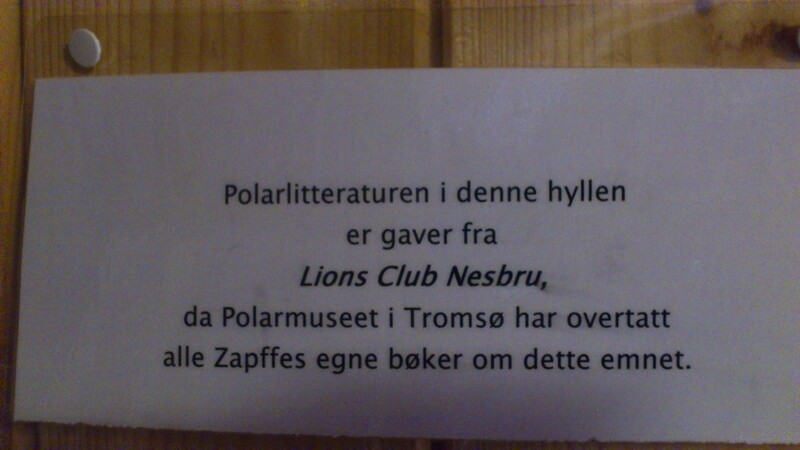 Norwegians should be able to read it, but for any foreigners curious its a humorous though critical text about the supression of bicycle culture, how cardrivers and motorcyclists have forced Zapffe and his bike off the roads several times, and how he now saves rocks in his pockets for them from now on. No mercy anymore, says Zapffe. 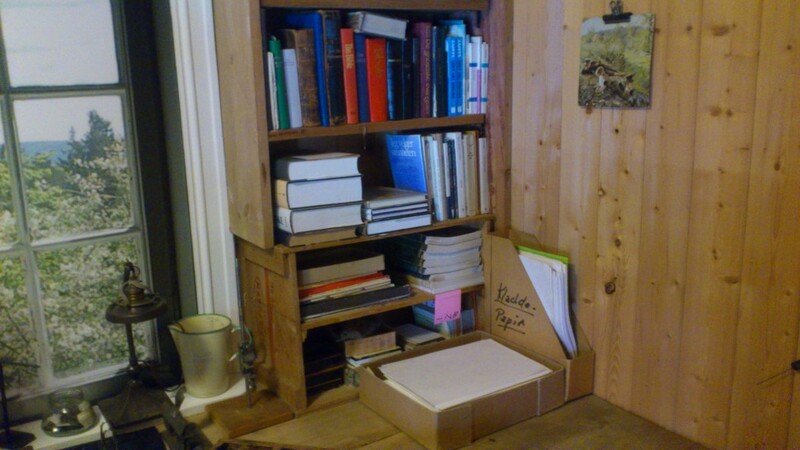 We opened one of the boxes on the floor, and it contained equipment for naturetravelling. 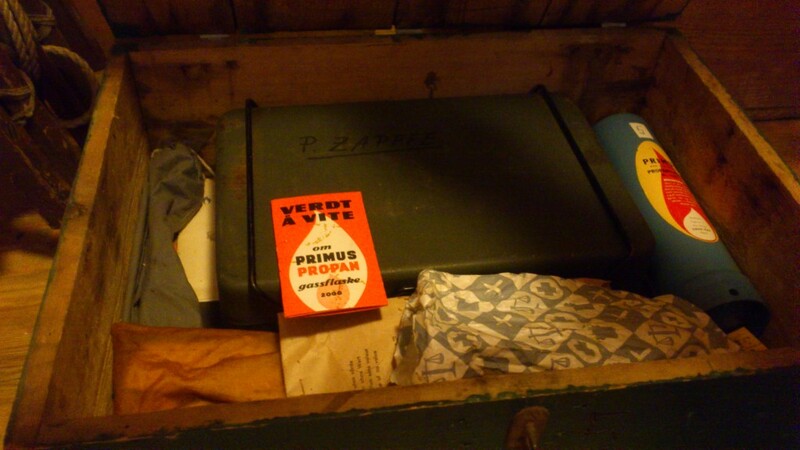 An old primus he probably took along for many of his trips. 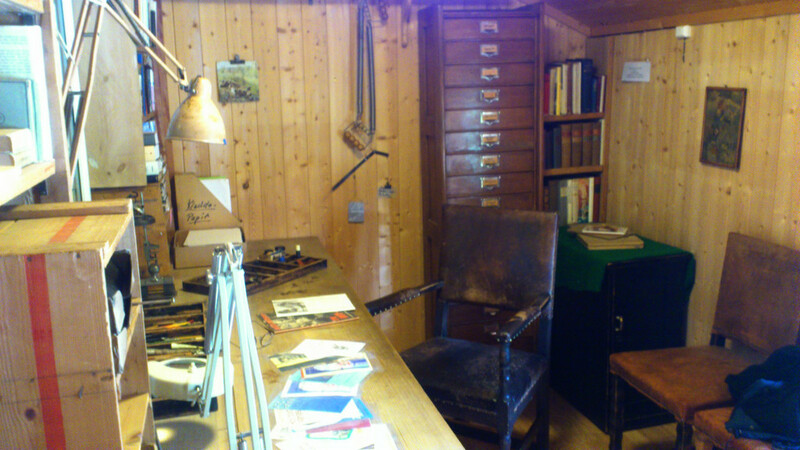 Inside the office we’re met by a reconstruction of his working station. Its not the real thing, but there’s put some care and detail into the reconstruction. 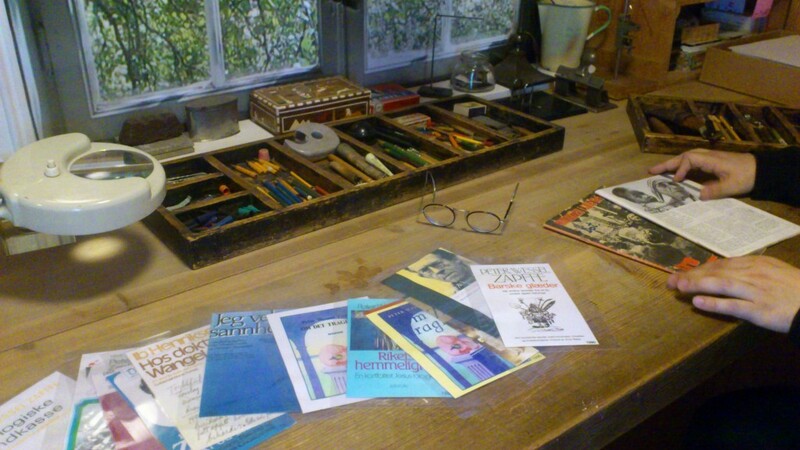 On the desk there was a laminated collection of the covers of his published books. 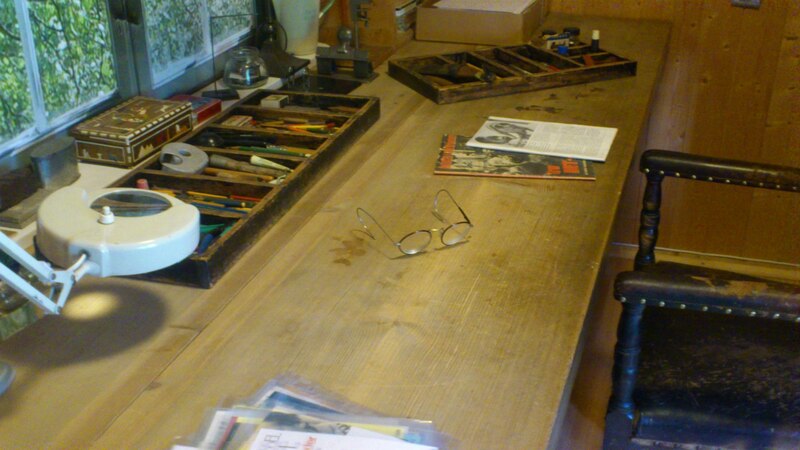 At the back there’s a collection of pencils, pens and other stuff for writing and drawing. There was also two magazines on the desk with his scribblings all over them(as a lot of the books he owned). Not sure what relevance the magazines was to Zapffe. There’s probably a story. 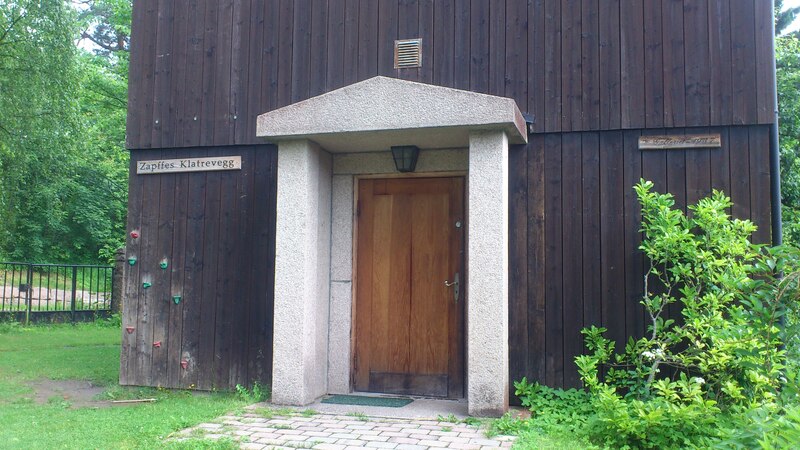 We sadly had no guide when we visited. 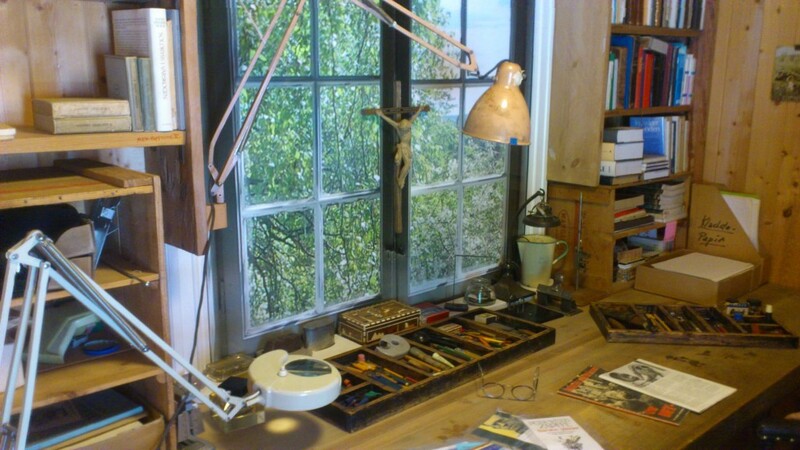 The window out into the woods and fjords is behind the desk. 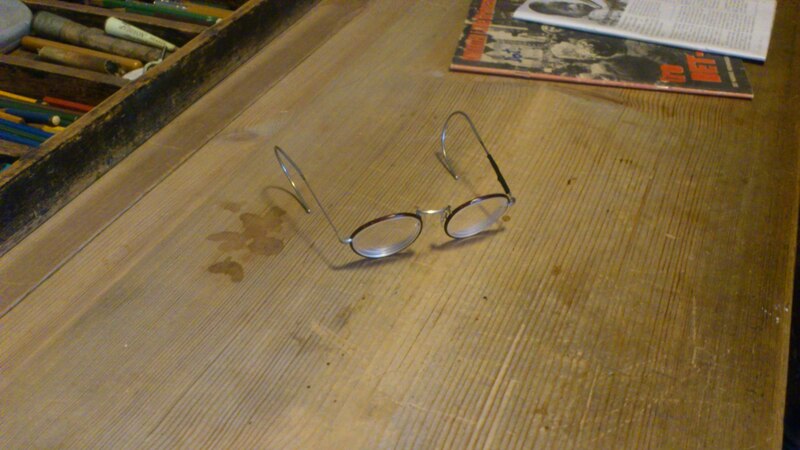 It looks quite convincing on the picture, but its actually fake. 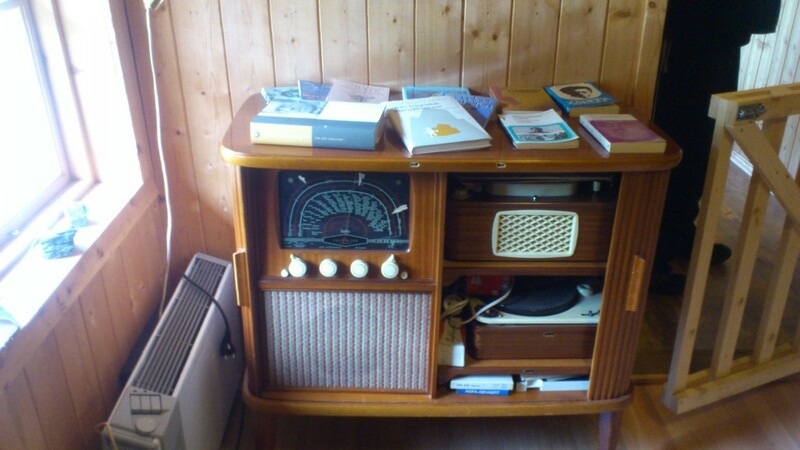 Zapffe’s oldfashioned radio and grammophoneplayer. 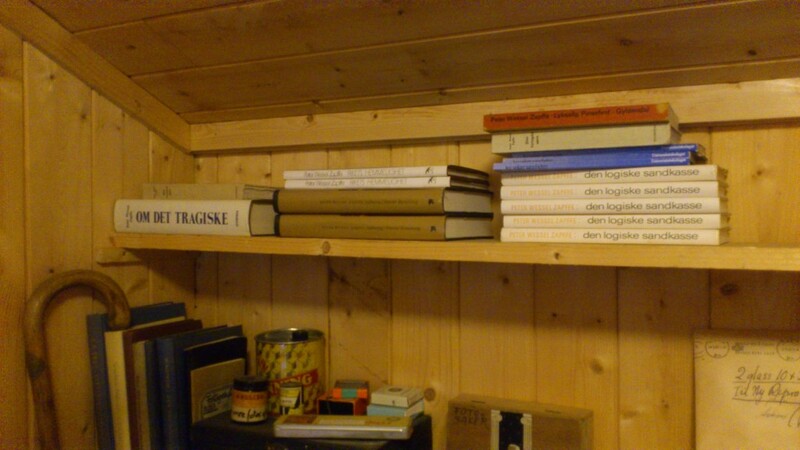 On top there’s a collection of his books. 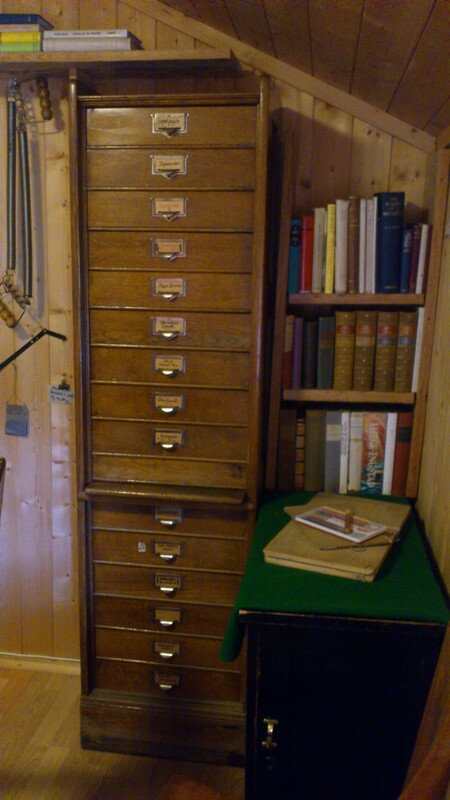 Zapffe had a huge collection of books and was an avid reader. 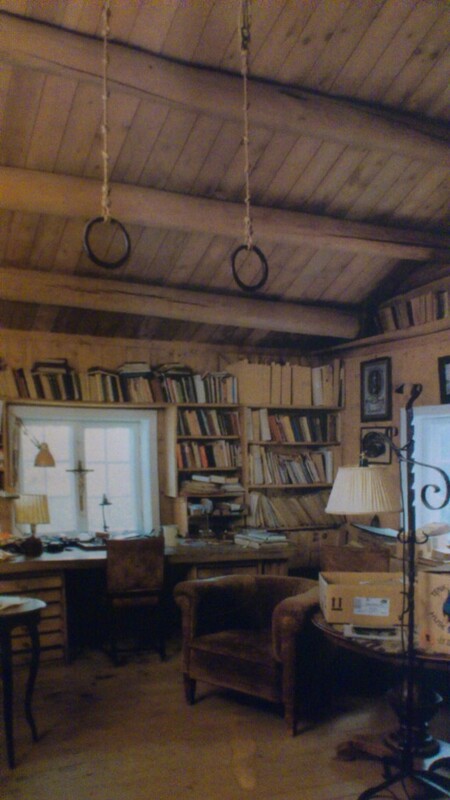 His books was often full of notes and comments. 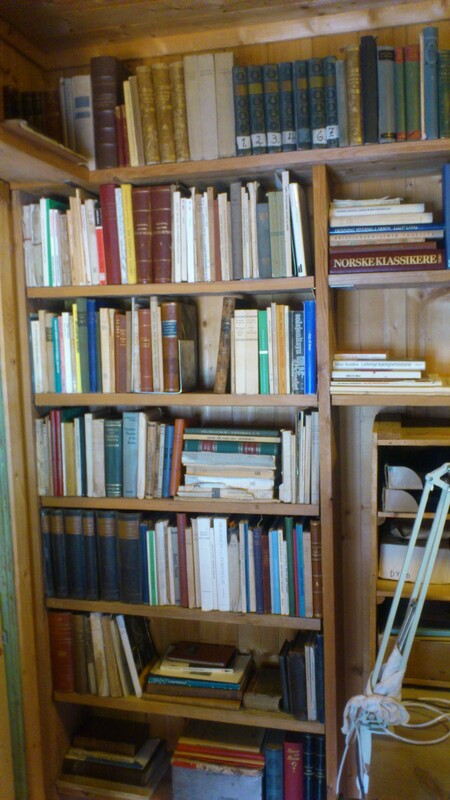 The museum had a solid collection of his books, but many of them are taken by the national library in Norway and other instutitions, like the Polar Museum in Tromsø. 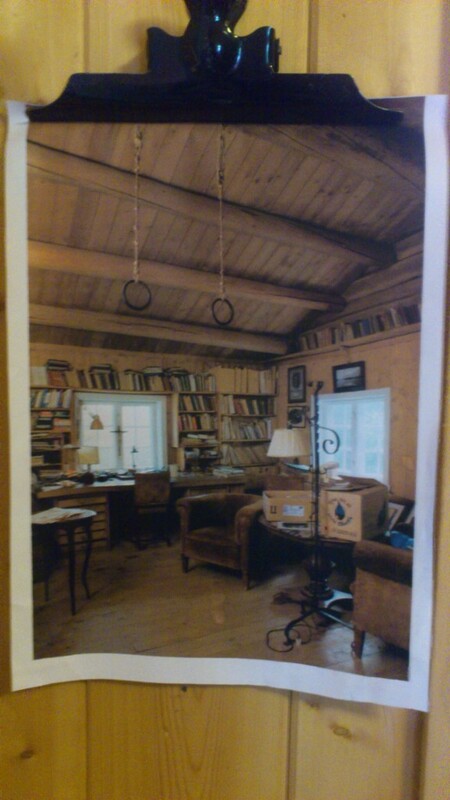 On the wall there is a picture of Zapffe’s real home. This is how it really looked inside his home. 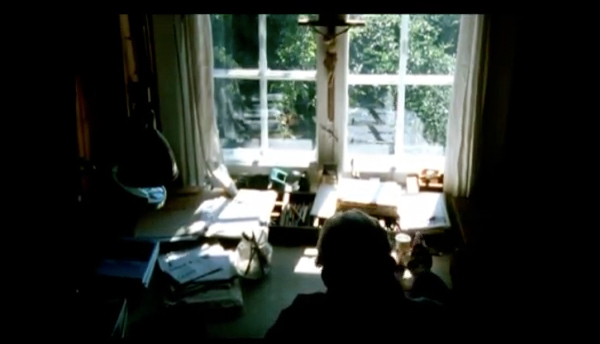 In the highly recommended documentary “Hva Det Betyr Å Være Menneske” (1990) by Trond Brede Andersen, we can see Zapffe in his last year alive in his working place at the time. The picture below is a screenshot. Zapffe often worked in the dark, with only the window or a small lamp as a lightsource. 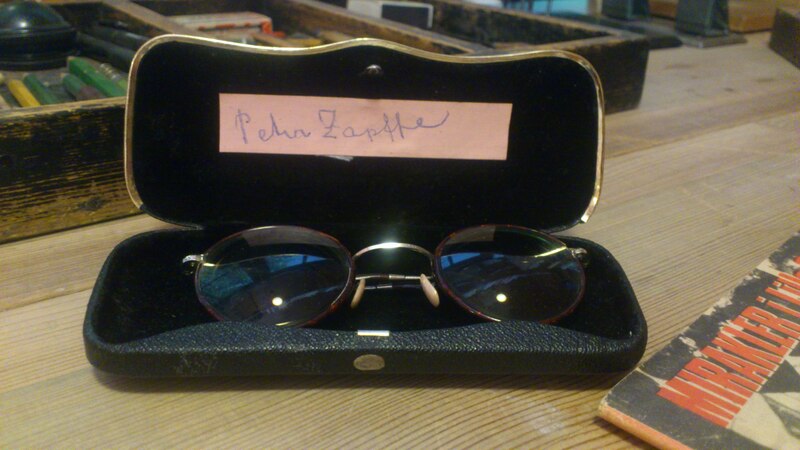 A bit of sadness went through me when I found Zapffe’s glasses on the desk. 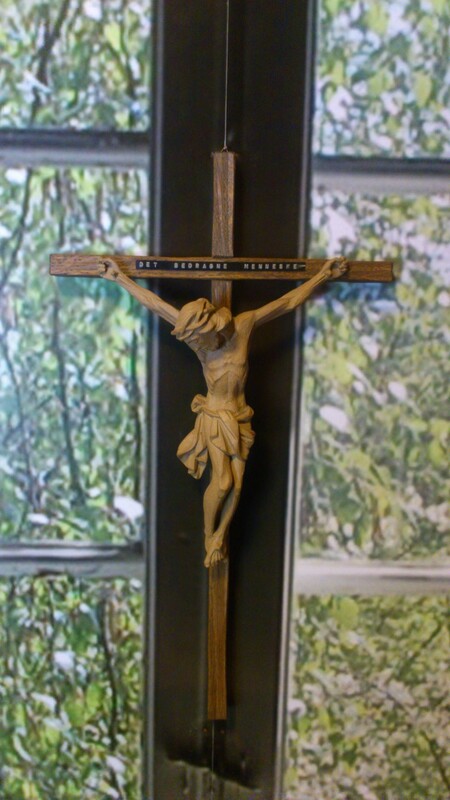 On the window Zapffe had a Jesus figure, with an imprint “Det Bedragerske Mennesket” (“The Fraudulent Human“). Zapffe had a very unique relationship to Jesus to say the least, while being an strident atheist and selfproclaimed antitheist he found some strong fascination for and connection with the Jesus character and Christianity. 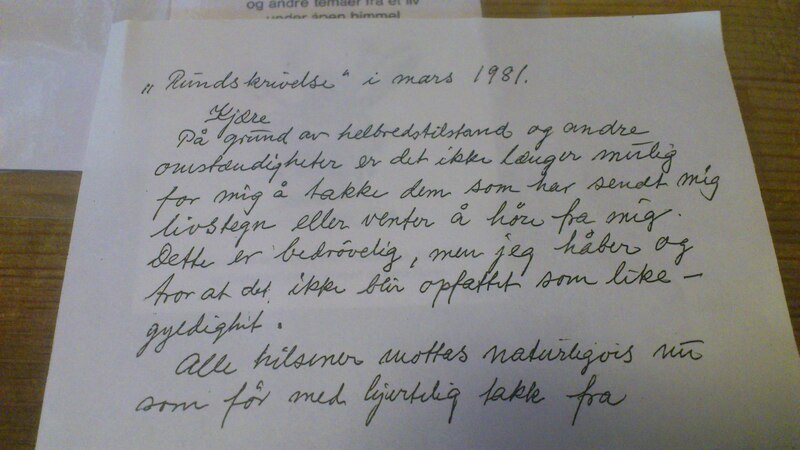 He wrote a biography about Jesus in his book “Rikets Hemmelighet”, one of his arguments being that Jesus was a complete lunatic for his idea of sacrificing himself to save humanity. 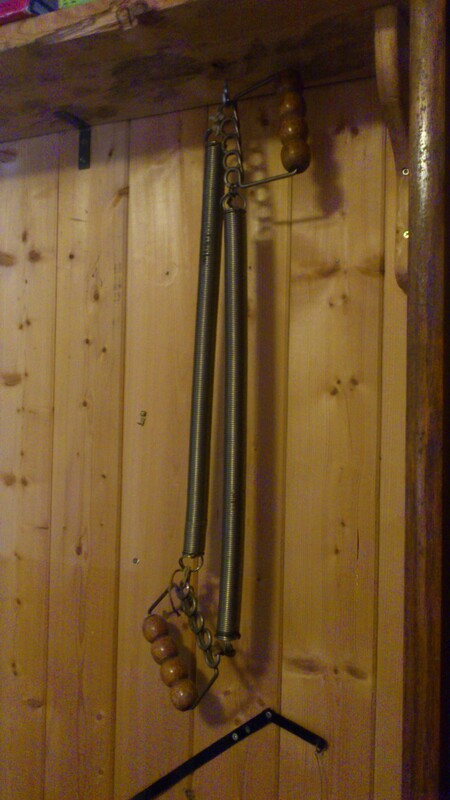 There’s also a couple of training accessories hanging around. In the roof there’s some hoops for training. 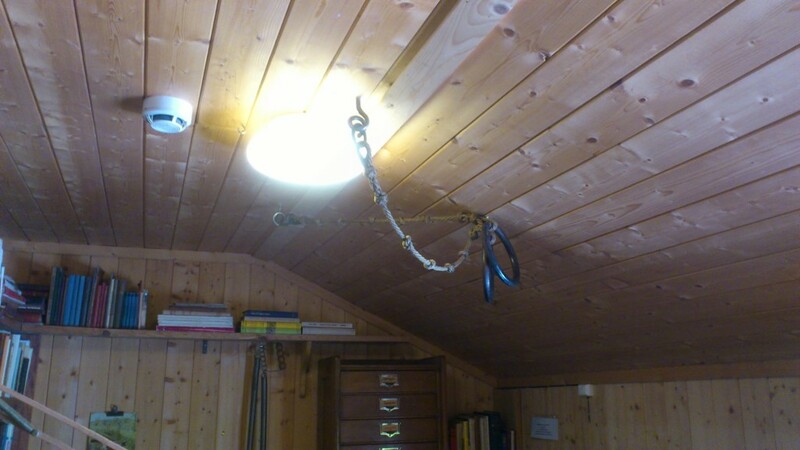 They make less sense in this room as the roof is too low, but you can see how they hang from the roof in the real room. In the drawers we found another pair of glasses Zapffe owned. 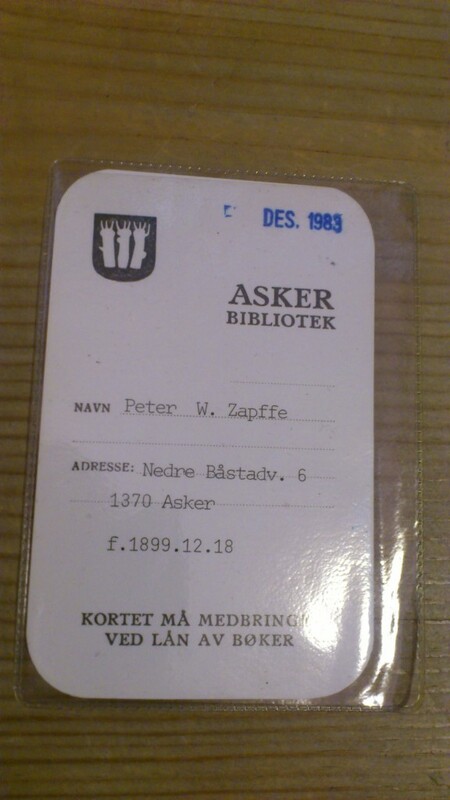 We even found Zapffe’s library card. We also found this weird letter in his drawer. There were like 10-20 copies of the same letter. We tried reading it. Its kind of a weird letter. 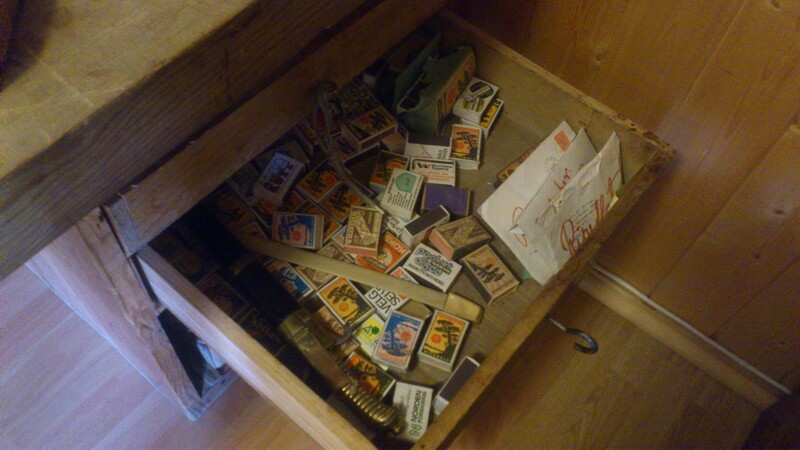 In one of the drawers we found a collection of matchboxes. 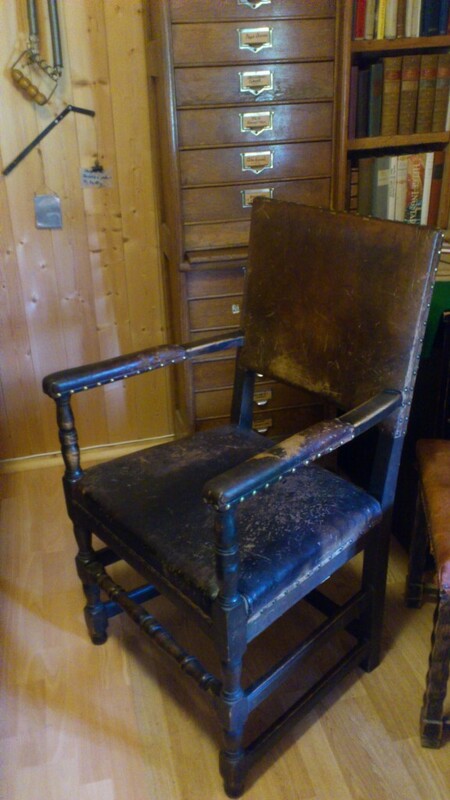 Last but not least… Zapffes chair. It still contains his presence, I’d say. Such a shame that this page it’s quite inactive since a long time ago. Thanks Martin. You are right. 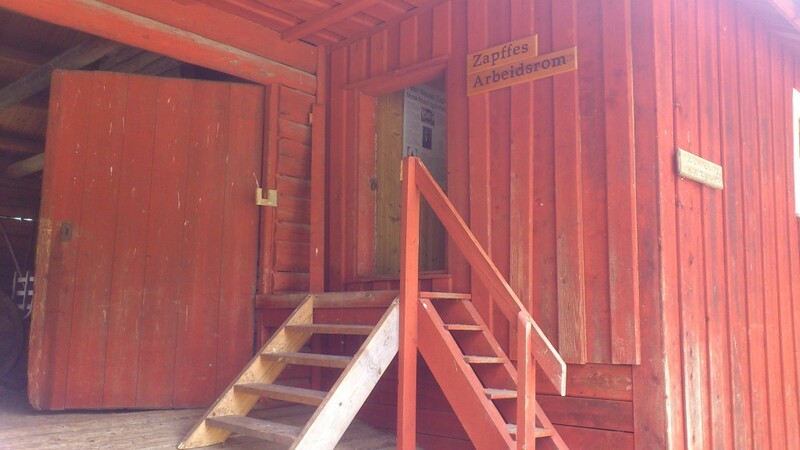 Zapffe was one of the most unique thinkers that existed. I will start updating this page soon again. I know its been a while. Never meant to officially stop. It was a combination of an update to a sci-fi movie about antinatalism that was made, but also a site about Zapffe and antinatalism in general. When the movie went into stop/hiatus the site did too. I am still working on AN-related projects, so I will try to make this site relevant again.